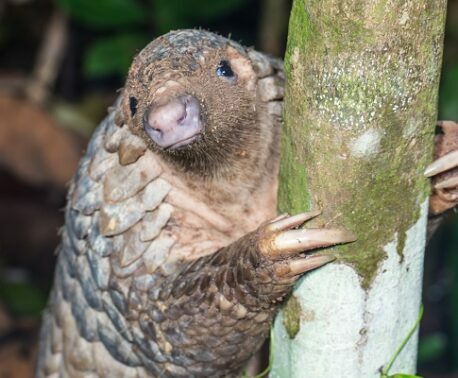 Launched in 2013 by World Land Trust (WLT), the Borneo Rainforest Appeal has now raised £885,000 for WLT’s Keruak Corridor project in Kinabatangan. The funds are urgently needed for WLT to support Hutan, WLT’s conservation partner in Malaysia, to develop the Keruak Corridor project. 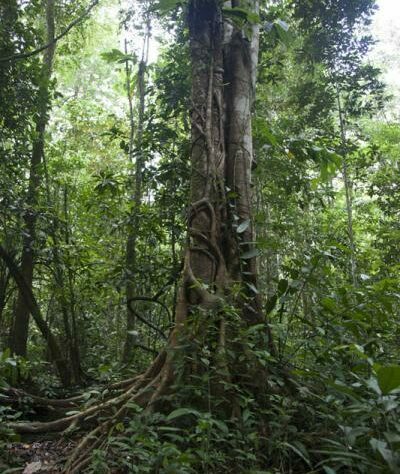 The Keruak Corridor is made up of 26 contiguous parcels of forest land in the state of Sabah, northern Borneo. The corridor lies along the north bank of the Kinabatangan River in the state of Sabah, where all remaining forest needs urgently to be protected from the rapid spread of oil palm plantations. Once purchased, these 26 properties will form a link between two existing forest reserves, enabling Borneo’s threatened species such as Orang-utan, Proboscis Monkey and Bornean Pygmy Elephants continued access between the forest reserves and boosting their long-term chances of survival. Before the launch of the appeal four of the properties in the Keruak Corridor had already been purchased for conservation by WLT partners Hutan and LEAP Spiral. Thanks to funds raised to date, 17 of the remaining properties have now also been purchased and protected. Meanwhile, Hutan is currently negotiating the purchase of the remaining five properties. But the work won’t stop there, as once this most important section of the Keruak Corridor is secure, Hutan will use remaining funds to safeguard more properties to widen the corridor and reforest some areas where tree cover has been lost due to past logging. The larger area formed by the protection of the corridor is vital for many threatened species in the forest to survive and thrive. The Keruak Corridor has been possible because of close cooperation between Hutan, local residents, oil palm plantation owners and government – Sabah Wildlife Department, Sabah Lands & Surveys Department and Sabah’s Minister for Tourism, Culture & Environment. “This model of cooperation will now be used to try and secure other corridors of unprotected forest along the Kinabatangan,” said Simon, who met several key stakeholders on his recent visit to Sabah. 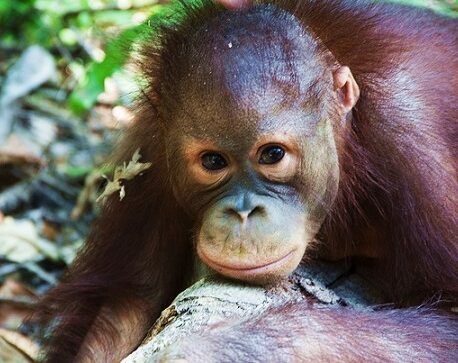 The success of the Borneo Rainforest Appeal is largely due to Big Match Fortnight which raised more than £725,000, including generous donations of more than £133,000 so far from WLT’s strategic partner in the US, Rainforest Trust. In November 2013, WLT Trustee Simon Lyster visited Keruak Corridor as a guest of Hutan. While in Sabah, Simon also had a series of high level meeting with government representatives, further strengthening support for the corridor project. WLT’s Borneo Rainforest Appeal focuses on saving threatened rainforest in the Lower Kinabatangan Floodplain of Sabah, northern Borneo. This region, with its varied lowland forest habitats, is frequently described as the most biodiverse region in the whole of south east Asia. The Lower Kinabatangan is the only place in Borneo which provides suitable habitat for ten primate species including the Bornean Orang-utan, Bornean Gibbon and Proboscis Monkey. The Kinabatangan River itself is the second longest river in Malaysia and provides a lifeline to the native people who live in the region – the orang sungai which literally translates as “river people”. The level of threat to land in the Lower Kinabatangan is astounding because of the expansion of the lucrative palm oil industry. Even very small parcels of land are converted to palm monocultures because the economic return is so high.